What Are the Top Foreign Cars? Luxury car enthusiasts have a taste for cars hailing from countries outside their own, which makes the foreign car market quite appealing. You might wonder which foreign car brand comes out on top in terms of unique features, performance, and stylings. So, we’ve compiled top-tier competitors, from Audi and Jaguar to Mercedes-Benz and our beloved Porsche brand, and laid out their heritage, desirable features, and models to give you a better glimpse into the lucrative foreign market! PDK (Porsche Doppelkupplung) Transmission—quickly changes gears without interrupting power, since the next gear is already preselected in anticipation of a shift. Porsche Active Suspension Management (PASM)—is an electronic damping system. Porsche InnoDrive—uses high-resolution navigation data for adaptive cruise control; this means increased efficiency and high-tech driver assist. quattro®—is Audi’s patented all-wheel drive system with 35 years of innovation under its belt. Audi TFSI®—is a type of engine that focuses on balancing fuel efficiency with power and responsiveness. It pairs direct injection with forced induction supercharging or turbocharging. Audi MMI®—an intuitive operating system that controls everything from navigation to entertainment to ride dynamics. InControl Remote™—lets you remotely access and control certain functions of your Jaguar from your smartphone. mbraceÒ Connect—allows you to remotely access your Mercedes-Benz from a smartphone or computer. With this guide in your arsenal, you can find the ideal foreign car for cruising Honolulu roads! Porsche vehicles are brains, brawn, and elegance—all wrapped in one. 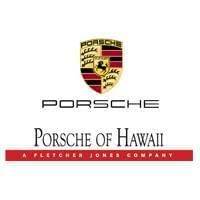 Test drive a Porsche model here at Porsche Hawaii, and you’ll agree! 0 comment(s) so far on What Are the Top Foreign Cars?